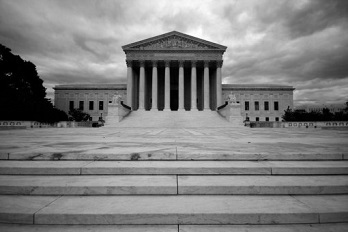 Supreme Court: Fair Housing Act Claims Can Use "Disparate Impact"
Over the weekend, my phone made that recognizable buzz noise indicating an email. Shortly after, another buzz, and then another and another. If I wouldn't have picked the phone up, I am sure that the barrage of email notifications would have caused it to walk itself off the counter. What in the world could be so important? Turns out, something very important. So important that I immediately contacted one of our local Fair Housing Advocates, asking for help to make sure that First Rate Property Management's policy and procedures meet the laws. Off the top of my head, the two big areas of concern are our tenant-screening criteria and our eviction policy and procedures. Before you read on, please read the below links. So how does this affect Landlords and professional residential property managers? That's the question and the result of the dozens of email notifications that I received. Below are some of the questions that other property managers across the nation were asking each other. For now, FRPM has been silent in the discussion and waiting for the official word from the fair housing specialists. "Can I continue to do thorough criminal background checks and deny applicants based on criminal history?" "If I do change my criteria and allow convicted criminals who have served their time, can I evict if they violate the lease, or do I have to accommodate them in some other way?" "I don't obtain or track tenants' race, religion, national origin, etc. Our policies are similar to everyone else's out there extending credit. We require certain documents showing the ability to pay, such as credit worthiness, income, work history, etc." "We deny any applicant who doesn't fit that minimum criteria -- and do so fairly -- as it's the same across the board. We evict tenants who violate the lease, such as for non-payment of rent. We do so fairly and across the board regardless of any other factor, other than non-payment. We don't know who they are; we pull a report that essentially says, "these three tenants did NOT pay their rent, so send them an eviction notice." Those who pay, stay. Those who don't pay, get evicted. We don't go through the list and figure out who may or may not be in a protected class or somehow has a claim of disparate impact. I wouldn't even know how to do that unless I had every tenant fill out some lengthy questionnaire, which has always been irrelevant. We don't care about your race, religion, etc. We just want to make sure you are credit worthy, and when you fail to pay as promised, we want you out so that we can get someone in who will pay." Disparate impact goes far beyond these questions. Honestly, I don't know how it will impact the industry, which is why I have already reached out for help. Regardless of whether First Rate Property Management agrees with the ruling or not, it's now the law and therefore we need to comply. We'll keep you posted as we learn more. 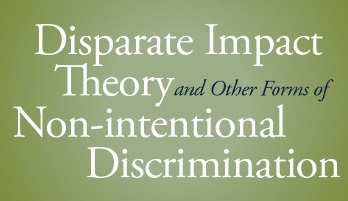 Below are two links to past blog posts of ours that discuss in more detail the concepts and consequences of disparate impact.